We use our Dynapack DAQ5 hub dynamometer (rolling road, dyno) to measure, control and test vehicles up to 1390bhp (1036kW)/ 3319lb/ft (4500Nm) of torque. The Dynapack direct couples to the wheel hubs and applies a precisely controlled hydraulic load. This method of direct coupling plus its built-in strength means the Dynapack is always in control of the vehicle. Controlling a powerful car on a roller dyno can sometimes be a daunting task. With our Dynapack we have TOTAL CONTROL of the vehicle, with no wheel slip due to its direct coupled design. With that there is no inertia to mask the results, giving you greatly improved sensitivity, repeatability and significantly reduced time spent tuning and mapping! We are also constantly adding additional sensors which are recorded and can be displayed along side all the other information recorded on the dyno, these include: air/fuel ratios, manifold pressure/vacuum, exhaust gas temperature and fuel/oil pressure, these sensors have allowed us to save engines by spotting conditions developing before any real damage can happen. Below is an example of one such instance where we managed to spot a fuel pump that couldn’t meet demand, after replacement the fuel pressure (purple lines) tracked the manifold pressure (yellow lines) as expected. HOW IS THE DYNAPACK DIFFERENT TO A ROLLING ROAD??? The first and most obvious difference is the elimination of the tyre to roller interface on a conventional roller dyno. The Dynapack eliminates this variable by using a hub adapter that provides a direct coupling to the Power Absorption Units. There can be no tire slip, no rolling resistance, and no chance of the vehicle coming off of the dyno at high speeds. Notice that this is called a variable? Sometimes it may be a problem area, other times it may not. Tire temperature, pressure, traction, etc, are all variables that can change – not only from run to run, but during the run as well. Throw an unknown variable like this into the equation and the data has now become subject to a potentially high margin of error. It is obviously better if these variables could be eliminated – which is exactly what the Dynapack does. There are other associated problems with the roller method as well. Take tie-down straps for example, most roller dyno’s use ratcheting tie-down straps to attempt to hold the vehicle in position while being tested. If the straps are cinched down tightly, the tyre has become loaded even further, in an unpredictable manner. While this may be good for enhancing traction, it changes the rolling resistance of the tyre – skewing the data further. Since these tie-down straps aren’t perfect, the vehicle squirms around on the rollers – dramatically changing the tyre drag during the run. If the vehicle is tested in two different sessions, the straps can’t be set exactly the same way twice in a row. Again, the data will be inconsistent. There have been of cases where the ratcheting tie-down straps were loosened by two clicks and the measured power increased by ten horsepower. What if the straps stretch? Either from run to run, or during the run itself? Wouldn’t it be great if all of these problems could disappear? With a Dynapack, they were never there in the first place. How do you think your measurements will be effected by being subjected to this large heavy flywheel phenomenon? Will small fluctuations be noticeable? In a word, no, the flywheel effect tends to take small rapid variations and smooth them right out – as energy that should be going into the dyno is being wasted trying to accelerate a large lump of steel. This is great if you want your power curve to look like a smooth pretty line, but it doesn’t give you much insight into what is really occurring. What if you eliminated this flywheel effect? The inertia of a Dynapack is practically zero! This allows the Dynapack to precisely measure and display tiny rapid pulses and oddities that you may not see on a roller dyno. Another benefit of having virtually zero inertia is the ability to change the rate of acceleration at will. In many situations, you may want to accelerate the vehicle at a different rate to simulate a specific condition. With a few simple keystrokes, we can to make the vehicle accelerate very quickly, slowly, or anywhere in between. Because of the Dynapack’s lack of inertia and total control of the engine speed, we have choices that none of our competitors can even dream of – and as you know, choices are good! The hubs of the vehicle are directly attached to hydraulic pumps. It can apply a variable but precise load with all of the potential holding power that hydraulics possess. The wheels are removed from the vehicle. 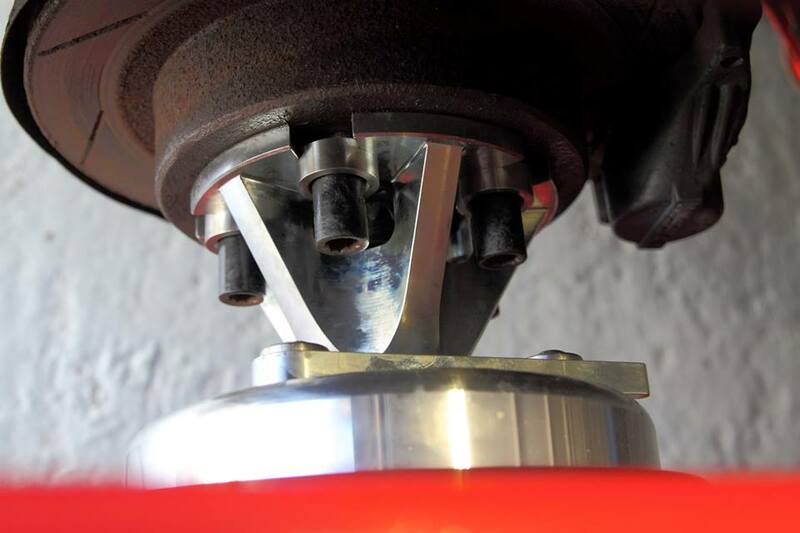 The variable fit hub adapters are bolted to the vehicles axle, the hub adapter is then directly attached to a hydraulic absorption unit. Were it can apply a variable but precise load to the axle(s) of the vehicle. Simultaneously, the Dynapack is monitoring pressures and measuring hub RPM, so we can determine the amount of work being performed. It sounds easy until you realize that all of these calculations are very complex and are happening very quickly. Add to this, all of the data logging functions and real-time full-color graphics that are also being calculated and you begin to realize that what appears to be simple is actually very complex…being the best is never easy. Traditionally, most serious engine builders have thought that chassis dynamometers were inferior to the results you could obtain from a quality engine dyno. 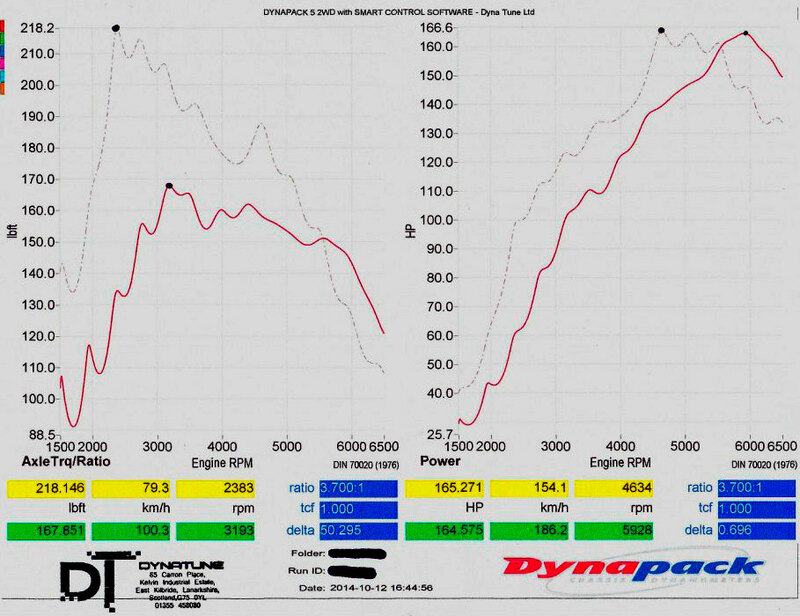 Dynapack have effectively attached engine dyno style load cells to the axles, so we now have the type of precision and repeatability normally associated with an engine dyno, but with the convenience and benefit of having the engine operate in its natural environment. If we want to hold a steady RPM under high power? We can hold an exact axle RPM (+/- one RPM) at any power level – all the way up to the full maximum rated torque capacity of the dyno, CONTINUOUSLY – for as long as we like. If the software allowed it, we could stop the engine within one revolution of the axle – even if the engine is at full throttle at its maximum torque level. 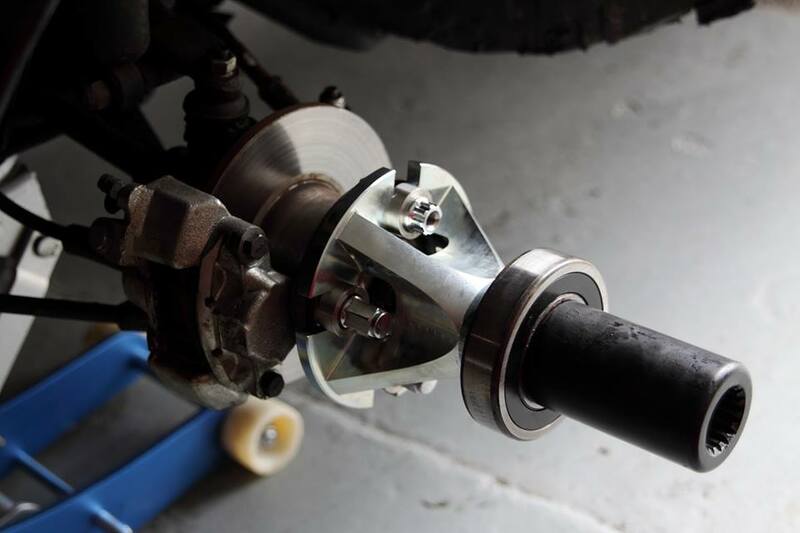 Obviously you would not want to do this, and the Dynapack’s software prevents it, but it does give you an idea of just how much power and control we have over the axle speed. Our Dynapack controls the car! We control the axle speed and rate of acceleration at all times, it allows you to see exactly what the vehicle is doing at any given point in time and RPM of the completed run. Because we aren’t limited by the capabilities of eddy current brakes and similar devices, we open up a whole new world of tuning possibilities. The Dynapack is truly the most technologically advanced chassis dynamometer in the world. One of the biggest assets of the Dynapack system is its ability to conduct multiple runs back to back and provide amazing levels of repeatability. The lack of inertia in the Dynapack system allows the sensitivity to be greatly improved over traditional dynamometers. We can reliably measure minute differences. Many world class OEM manufacturers as well as tuning houses rely on the Dynapack and its amazing sensitivity to develop their products. 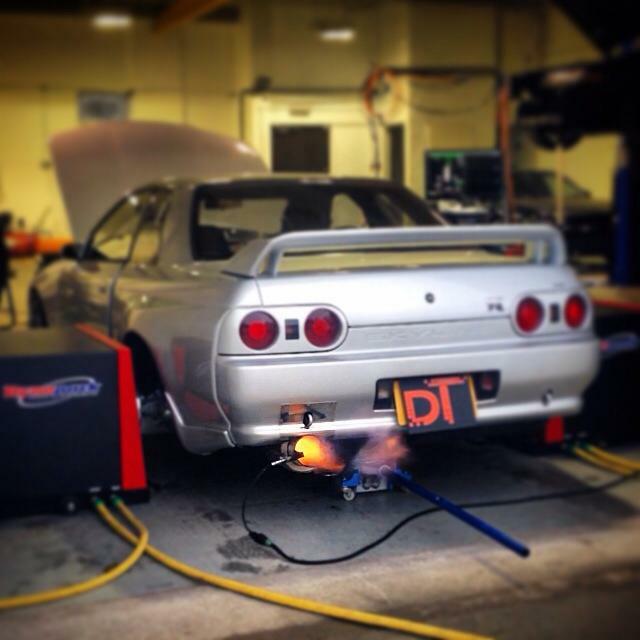 Our dyno at speed measures around 60 to 80dB depending on load – much quieter than the engine at idle. This is especially beneficial if you want to perform NVH (Noise Vibration & Harshness) tests. Dynapack dynamometers are already in use in NVH labs. We can use our ears as an additional diagnostic tool, since all we will be hearing is the vehicle. History has proven that cars do come off roller dyno’s but with the Dynapack and our failsafe connection method, this event cannot happen. What would happen if a car came off a Dynapack? Due to the built in safety design, so far, it hasn’t happened. If it did, the vehicle would just drop to the floor.